As the leading brand in tire and construction reinforcement and composite technologies, and putting R&D and innovation at the heart of its operations, Kordsa is among the global leaders with its number of patents issued in the patent research database in the first half of 2018 following the record number of patent applications in 2017. Kordsa has grown its patent portfolio by approximately 60% in 2017, and has 174 inventions, 717 patent applications and 218 approved patents worldwide as of July 2018. According to the patent research database, with its number of patents issued in industrial textiles worldwide, Kordsa is heading towards the top companies with the most patents. 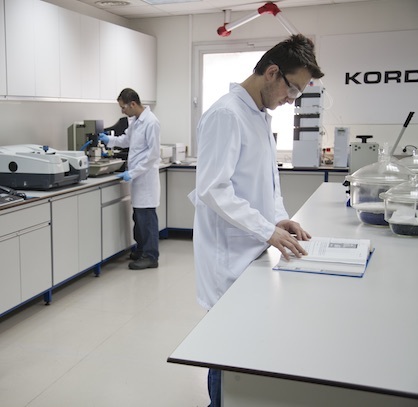 Starting from the day it was founded, Kordsa ascribes great importance to innovation. Having modified its intellectual property strategy as of 2012, Kordsa started to make patent application as a legal protection for its inventions. After the patent applications are finalized and published, Kordsa strengthens its position among top players in technology according patent research results in industrial textiles.